What’s on before & after the Pride parade on Saturday night? 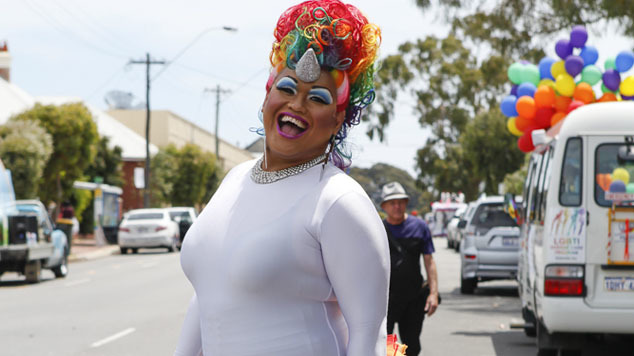 Pride WA’s 29th parade will kick off this weekend with what may just be a record number of floats marching through the streets of Northbridge. If you’re looking for where to go after the main event, check out the list below and see which party is the best fit for you! Pride WA are hosting the official after party at the newly opened Lot 10 in Yagan Square. Head down before and after the parade and enjoy the roving entertainment, live music and local DJs as well as a selection of Perth’s best food trucks. The southern hemisphere’s longest-running queer club is recruiting a GLITTER MILITIA for their Pride celebrations this year. March into Connies after the parade and start a revolution on the dance floor with DJs Feminem, Kapitol P, Tim Brown, JJ, Roski, Cinnamon and Amanda Power. You can also support your troops on stage by saluting shows by Barbie Q, Alexas Armstrong, Fay Rocious, Veronica Jean Jones, Ruby Jewelz, Delvira Midnight, Kelly Star, Cherry Poppins and dancers Alex, Kade and Haydn. There are very limited pre-sale tickets left so jump in quick! This year, Minx will be hosting a pre-parade party and taking over Metro City. The pre-parade event will feature music from the brilliant Toby Beard Trio and Leanne Bugat. Lesbian Space WA are once again putting on their ladies-only event after the parade. This year’s Lesbian Space event will be held on Universal Bar’s rooftop terrace from 9pm. The Court’s much loved street party returns in 2018, taking over The Court, Verdict, the overflow area and of course to the streets! The after party will feature over 40 shows across four massive areas, working through the sounds from the 80s to today. Hannah Conda is also returning to the west coast, as is tradition, teaming up with Scarlet Adams, Perri Oxide, Donna Kebab and Katya Kokov for a selection of fabulous performances. DJ Timbee will also be heading back to the club for one night only, and there’ll be music from premiere popstar impersonator Pinked. The celebration for men who like men will feature sounds from Brisbane DJ ENN and our very own Rob DB. The Brass Monkey are also hosting Pride celebrations this year with DJs, drink specials and drag shows all night long. Catch Swish Eveready and friends on stage, as well as glow paint stations and make up artists to get you in the festive mood. The Bird is holding an unofficial Pride Party with Dj Beni Chill and some special drinks specials. Chill out at Perth’s LGBTIQ+ Tennis Club and wind down with friends after all of the Saturday celebration. All are welcome for drinks, catch ups and a barbecue!